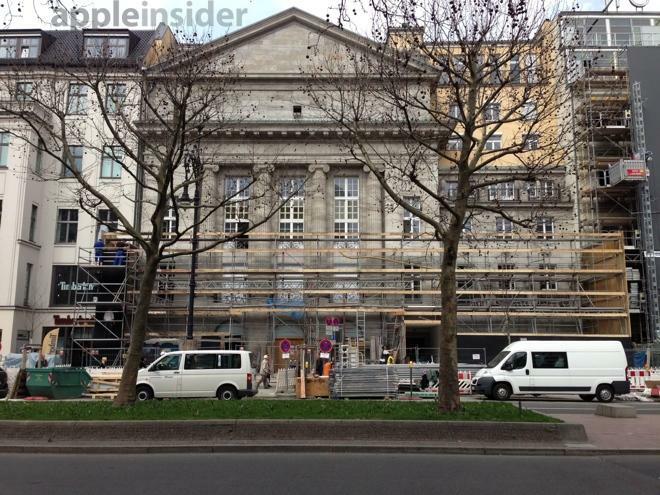 Apple's latest retail store, and its first in the city of Berlin, is nearing completion, as employees have begun removing the scaffolding in front of the construction. 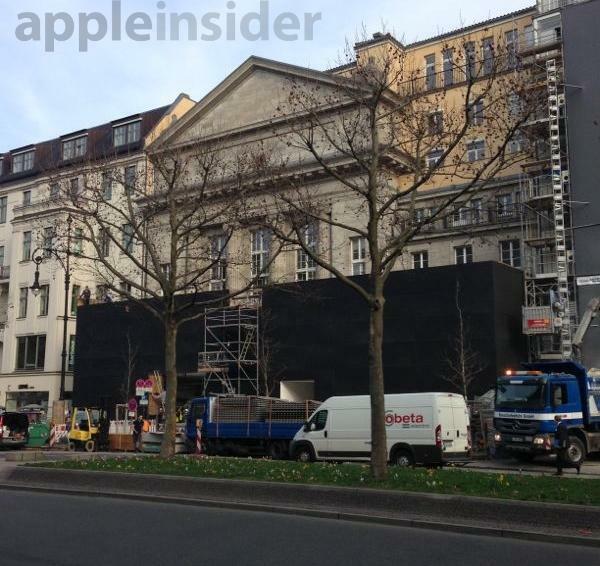 The new Apple Store in Berlin is set to open next month, and on Wednesday workers began removing the black, concealing temporary wall that has existed in front of the shop. Pictures of the project were provided by AppleInsider reader Mikey Fritz. Apple's new Berlin store will be its biggest in Germany. The site used to be home to a movie theater in the city's Ku'damm 26 district. Ku'damm is the city's most expensive shopping district, located in West Berlin. Apple's new store will be located across from the Hard Rock Cafe. In recent years, Apple has focused its attention on expanding its highly trafficked retail stores overseas. As of the end of its last quarter, Apple had an average of 396 open retail stores, which hosted a record 121 million visitors during the three-month span.